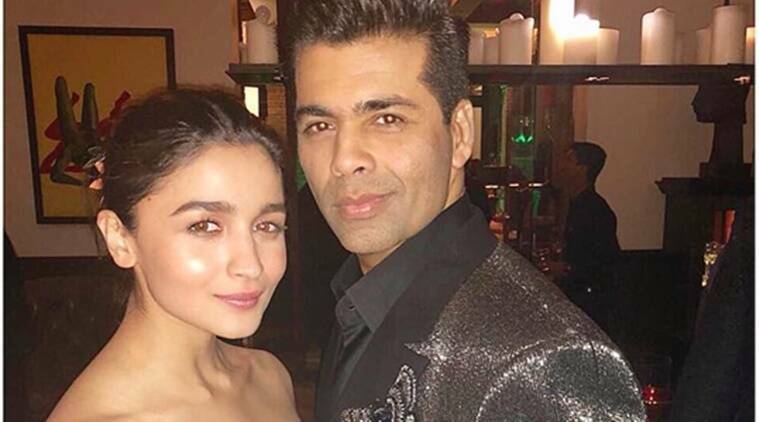 Recently, Alia Bhatt and Karan Johar were seen posing for the cover of Elle Magazine’s February issue and needless to say, they looked stunning. Alia Bhatt is known for acing almost any look – be it quirky or ethnic or even a glam carpet look, she almost always hits the mark. Karan Johar, on the other hand, is well known for his bold fashion experiments. Recently both of them were seen posing for the cover of Elle Magazine’s February issue and needless to say, they looked stunning. For the shoot, the Raazi actor wore an off-shoulder printed dress from Louis Vuitton. She went for a dewy make-up that complemented her look well. Accessorising her outfit with a pair of Chopard earrings, a watch and a bracelet, we think she looked rather stunning. Johar, on the other hand, donned a blue tuxedo jacket featuring a zip-detailing that was customised for him by designer Gaurav Gupta. Earlier, Bhatt surprised us all when she stepped out in a pink dress from Annakiki’s 2019 collection. The off shoulder mini with a tulle train looked lovely on her, and to be honest, it reminded us of a pixie fairy. It’s refreshing to see that she kept her make-up minimal and opted for a centre-parted sleek hairdo. The only jarring thing about her look was those green heels but given how adorable she looked, we can easily overlook the faux pas.